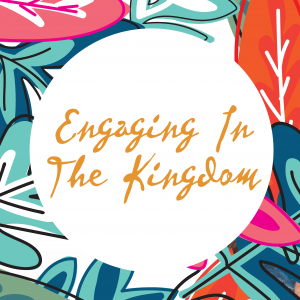 Engaging in the Kingdom–Our annual Regional Women’s Conference is a favorite gathering place for women from all over the region to come and experience real, tangible life change in God’s presence. When we come together and ask for God’s heart for us as women, he is so faithful to come and touch our lives and empower us to become the women he created us to be. This conference will be filled with incredible worship and prayer ministry times, great biblical teaching, and opportunities to engage in authentic and intimate community with other women who love Jesus. The event kicks off Thursday evening, April 4th, with a session for leaders. Main sessions for everyone begin Friday morning, and the conference concludes on Saturday at noon with a delicious lunch buffet. Our keynote speakers this year are Danielle Pathak and Becca Knudsen from Mile High Vineyard in Denver, CO. Danielle and Becca are passionate about teaching women how to care for their souls and live abundant lives in the peace of God’s presence, rather than from a place of stress. Registration includes materials, coffee & beverages, breakfast and desserts on Friday, breakfast on Saturday morning, and a lunch buffet on Saturday. Early registration is $50 until March 25. After March 25, registration is $65, so don’t wait to “engage”! *Childcare is not available, however, nursing mothers are welcome. Danielle is a Midwest girl who grew up in Ohio but moved to Colorado in her mid 20’s to church plant a Vineyard church with her husband Jay after graduating college @ Ohio State. Several years later, that 1 initial church has become several neighborhood churches that stretch across Denver Metro, with an awesome staff to help lead these communities and Colorado has become home! In this current season of life, Danielle is the staff and spiritual formation pastor for these pastors/staff and local Denver churches. She loves challenging individuals with pursuing a wholistic view of spirituality as well as living a focused life with no regret- to simply become “more like the beautiful person of Jesus everyday.” She loves introducing soul care exercises and contemplative disciplines to help create this focused and whole life. Danielle also has been married 20 years to Jay and has 2 incredible daughters, Jasmine and Sofia. She loves to travel the world (but also camp in Colorado), kayak and paddle board, hang out on the soccer fields with her girls, be with her new Bernese mountain puppy that won’t stop growing, and be artistically creative in a whole bunch of ways! Becca Knudsen serves as the Executive Pastor for the Mile High Vineyard. Originally from Columbus, Ohio, Becca moved to Colorado in 2005 with her husband Chris to pursue a Masters in Music at the University of Colorado. While in school, she realized and embraced her desire to do ministry. In 2014 Becca and her husband Chris planted the Westminster Vineyard where Becca served as pastor for three years. In 2017 they transitioned the church to new leaders so that Becca could focus again on her full-time role as Executive Pastor for all of the Mile High Vineyard churches. As Executive Pastor, Becca oversees the logistical and tactical needs of the Mile High Vineyard. Becca has helped to establish more structure and systems in the church to allow for church growth and excellence. One of the key systems she has developed and implemented is called “peace management,” which helps our staff, church members, and many others manage their lives better to live from a place of peace rather than from a place of stress. Prior to moving to Colorado, she was involved in the Grove City Vineyard and served as a Young Life Leader for five years in Columbus, Ohio. Becca and her husband Chris, whom she met in middle school, were married in 2004. They have two children, Eloise and Soren.